A verse-by-verse study of the book of Galatians, as part of the 5-part series focusing on the Prison Letters of Paul. 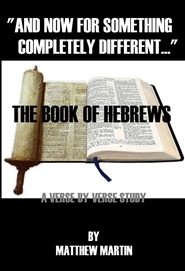 This study goes through the six chapters of the Galatian letter, discussing the problem of Jewish Christians binding the Old Law on their Gentile brethren. Paul defends the Law of Christ and his own character in this marvelous letter in defense of the Truth. A verse-by-verse study of the book of Ephesians, as part of the 5-part series focusing on the Prison Letters of Paul. This study goes through the six chapters of the Ephesian letter, discussing the body of Christ and all the particulars therewith. Paul explains the body of Christ, His church, in each chapter, showing six characteristics of it, thus teaching why all should desire to be a part of it. 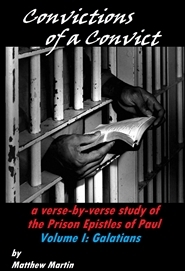 A verse-by-verse study of the book of Philippians, as part of the 5-part series focusing on the Prison Letters of Paul. This study goes through the four chapters of the Philippian letter, discussing the joy that comes with Christian living, despite the suffering one may endure. Each chapter focuses on a particular attribute of a joy-filled Christian (thanksgiving, service, commitment, virtue) and examines how maintaining those attributes will make for a better life now, and the best life after death. 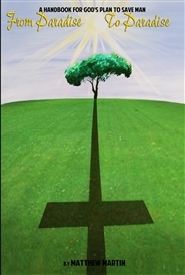 A verse-by-verse study of the book of Colossians, as part of the 5-part series focusing on the Prison Letters of Paul. This study goes through the four chapters of the Colossian letter, discussing the authority Christ commands as head of His church. Each chapter focuses on a particular aspect of Christ's headship and and examines the responsibilities of Christians to remain faithful to Him in the midst of many false doctrines that exist. A verse-by-verse study of the book of Philemon, as part of the 5-part series focusing on the Prison Letters of Paul. This study goes through the brief but powerful one-chapter letter, discussing the need for Philemon to receive the returning Onesimus in a way befitting a forgiving Christian. The book is divided into five sections, with Paul discussing Family, Fellowship, Favor, and Faith, before offering his Farewell. From Paradise to Paradise explores the Amazing Grace of God, by examining the Savior's plan to save humanity from its own sin-sick condemnation. What is God's plan to save man? How has His plan been revealed? Why does He even want to save us? The detailed planning of God, throughout thousands of years of human history is revealed, as we examined why death and Hell exist, why Christ had to die if man was to be saved, what God expects us to do in light of the death of His Son, and many more fundamental questions upon which our faith is built. 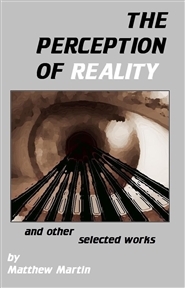 A collection of 35 works of fiction: A novella, THE PERCEPTION OF REALITY, takes up a fifth of the book, detailing a wannabe time traveler whose experiment goes awry. The other 34 works include poetry of humorous and romantic natures. Also there are twenty short stories ranging from fiction to sci-fi, from mystery to tragedy. If you like a good short read, there's sure to be something for everyone within this book! 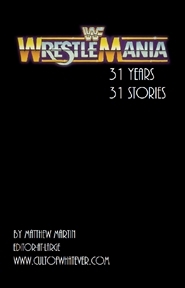 WrestleMania: 31 years, 31 stories takes the reader on a journey to understanding the stories behind each main event in WrestleMania history.